Jenny has many years of experience. Jenny is known for providing excellent service to customers and receives great feedback. Many customers of Jenny have come from referrals from customers who have had a good experience with Jenny. Jenny believes in providing a natural soothing environment to facilitate the beautification process. 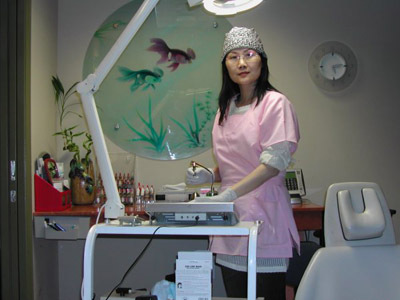 Our state-of-the-art facility provides a relaxing environment for all of our services. All of our permanent cosmetic procedures are performed using the Nouveau Contour Digital 700 or the Intelligent. This cutting-edge equipment provides less trauma and superb results!